Assisted Living Facility recently completely remodeled and Licensed for 6 beds. North Tampa Lutz location in very nice quiet neighborhood. 1 Acre Lot with tranquil lakeview and no rear neighbors, currently run by husband and wife team that are nurses. Currently has 4 residents that are cash payers. Great Turn key opportunity for a buyer that wants to get into this business and bypass the start up cost and delays in licensing. Infrastructure is in place to change the facility to 10 beds, just need to get thru zoning and licensing for the additional beds. Business Only No Real Estate. Lease terms at $4500 per month. West Coast of Florida Multi Location Adult and Pediatric Allergy, Asthma and Immunology Practice in University Park, Sarasota/Bradenton Area is Sold! in University Park, Sarasota/Bradenton Area The commercial at West Coast of Florida Multi Location Adult and Pediatric Allergy, Asthma and Immunology Practice has been sold. Pizza Shop Wings Subs Salads for sale in New Tampa, Tampa is Sold! in New Tampa, Tampa The single story at Pizza Shop Wings Subs Salads for sale has been sold. – FOR SALE USD250,000 . 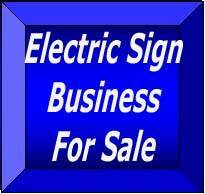 Established 30 yrs Electric / Architectural Sign manufacturer & Installer in Central Florida. Many Major accounts with repeat business for 30+ yrs. Business has great reputation, mostly repeat and referral business. PT Sales person and very low marketing budget still brings in $1mm per year. UL Cert Shop with CNC capabilities, Large Format, Mig Welding, 55” Elliot Crane Truck. Business Only! No Real Estate! Zero Down Bank Financing for Qualified DVM SOLD! Animal Veterinary Hospital in Pinellas County is Sold! 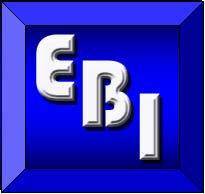 in Pinellas County The commercial at Zero Down Bank Financing for Qualified DVM SOLD! Animal Veterinary Hospital has been sold. Day Care After School for Sale Tampa Bay FL in None, New Port Richey is Sold! in None, New Port Richey The single story at Day Care After School for Sale Tampa Bay FL has been sold. Sale Pending! Pizza Shop in Wesley Chapel FL! Pizza Shop Wings, Subs, Salads. Take out / delivery only. 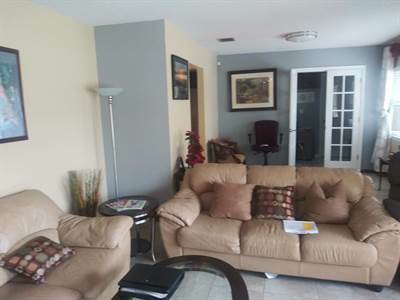 Great opportunity to get a location in booming / fast growing Wesley Chapel / New Tampa area. Easy to run family business. Business needs buyer to expand menu, marketing, and hours. Has hood, buyer could add saute and expand menu. Expand hours on weekends. Increase Advertising (business spends less than $100 per month on marketing. There are 1,000’s of homes being built within a five mile radius. Business Only No Real Estate. You will need to sign a NDA to receive the name and address of this business for sale. Sale Pending! 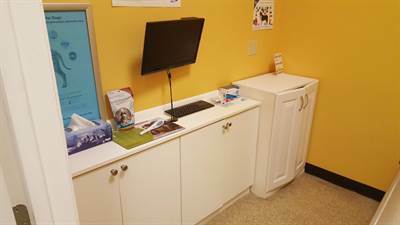 Medical Practice, Sarasota/Bradenton Florida! • Medical Practice – SALE PENDING USD185,000 . Established for 40 years, Multi Location Adult and Pediatric Allergy, Asthma and Immunology Practice on Florida’s West Coast. Revenues are approx., 11% Medicare, 3% Medicare HMO, 21% self pay 65% Comm Ins. The Practice Uses Net Connect for Billing Scheduling and Practice Fusion for Prescriptions. 2 LPN’s, 1 1099 RN and receptionist / office manager on staff. Buyer must be MD / DO or hire same. Business only No Real Estate. Sale Pending! Day Care After School West Pasco New Port Richey area! 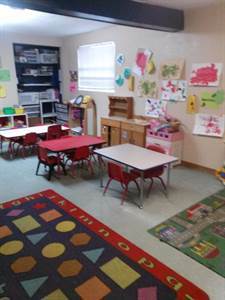 Sale Pending Day Care After School West Pasco New Port Richey area! Day Care After School with a Public School bus stop outside their front door. Licensed for 75 with average enrollment of 63. The Center currently has 6 @ 1 yr.old, 10 @ 2 years, old, 10 @ 3 years, old, 17 in VPK and 20+ school aged children. There are 6 CDA’s, 1 has Director’s Credentials. Facility is a converted duplex that is leased and a converted single family home that is included in the asking price. Both sellers work part time. Sale Pending! Animal Hospital in Pinellas County near Gulf Beaches! 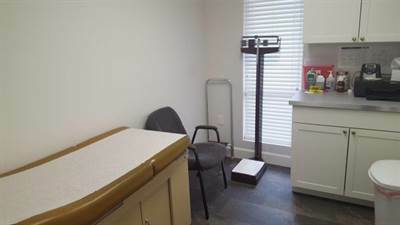 Sale Pending Animal Hospital in Pinellas County near Gulf Beaches! Attn DVM’s, live and work near Gulf Beaches. Very Well-equipped Animal Hospital offering Specialized Laser Surgical Procedures as well as Spays and Neuters, Emergency Care including Radiography, Diagnostics & Laser Surgery, Wellness Exams, Microchipping, Vaccinations, Dental Care and overnight stays for recovery. There are 4 pt Vet Techs and Part Time Relief DVM on staff to assist owner. Zero Down Bank Financing for Qualified Licensed DVM with good credit. Business does almost no advertising. Business only for sale. No Real Estate. Buyer must be Florida Licensed DVM or hire same to operate business. SOLD! Vending Route Business for sale in Clearwater Beach North, Clearwater is Sold! in Clearwater Beach North, Clearwater The commercial at SOLD! Vending Route Business for sale has been sold. SOLD! 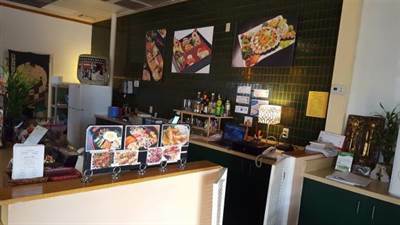 Restaurant Business & Building Apollo Beach FL in Apollo Beach, Apollo Beach, Ruskin Area is Sold! 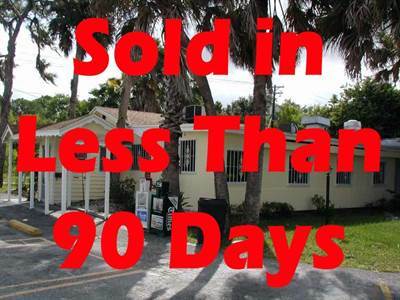 in Apollo Beach, Apollo Beach, Ruskin Area The commercial at SOLD! Restaurant Business & Building Apollo Beach FL has been sold. Sold to Visa Buyer from Italy! 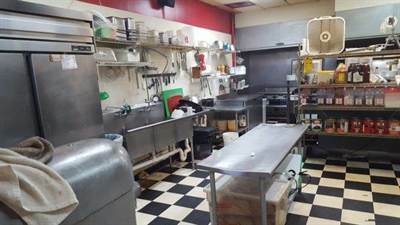 Cafe Gelateria for Sale Tampa FL in Tampa, Tampa is Sold! in Tampa, Tampa The commercial at Sold to Visa Buyer from Italy! 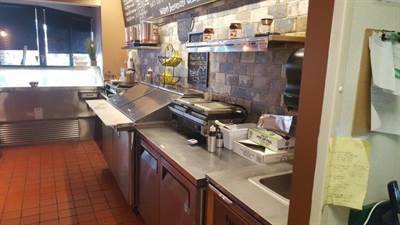 Cafe Gelateria for Sale Tampa FL has been sold. Attn DVM’s, live and work near Gulf Beaches. Very Well-equipped Animal Hospital offering Specialized Laser Surgical Procedures as well as Spays and Neuters, Emergency Care including Radiography, Diagnostics & Laser Surgery, Wellness Exams, Microchipping, Vaccinations, Dental Care and overnight stays for recovery. There are 4 pt Vet Techs and Part Time Relief DVM on staff to assist owner. Bank Financing could be available to a Licensed DVM with good credit. Business does almost no advertising. 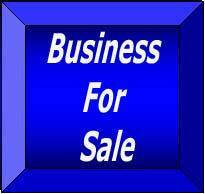 Business only for sale. No Real Estate. Buyer must be Florida Licensed DVM or hire same to operate business. Medical Laser Clinic For Sale in Florida! Medical Laser Clinics 5 locations (sub leases) offering Laser Clinic Services a total of 8 to 10 days per month. Uses latest equipment and Techniques. Perfect Business for MD, DO, PA, ARNP or Nurse with Laser Exp. Can easily be expanded. EHR in place with Jane.App. Hundreds of Appointments booked thru 2018. Unique Service and Equipment, no info without NDA, Financial Statement and sellers approval. Business Only No Real Estate. Established Medical Clinic General Family Practice, 3000 patients. All private Insurance, currently no Medicaid accepted. Services include General Med, Women’s Health, Suboxone, Weight loss, Minor Surgical, Helicobacter Pylori, Injectables and Diagnostics. 1ft Front Desk & 1 FT CMA. 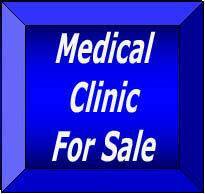 Clinic is in undeserved area, buyer can add Medicaid. Practice Fusion EMR in place. Majority of Patient Base is Spanish Speaking. Non-Compete is for Family Medicine Only. Business Only no Real Estate. SOLD! Children’s Play Center for Sale Tampa Bay FL. We have many Buyers for Day Care Centers, call if you’re thinking about selling! SOLD! 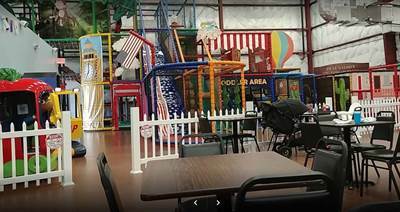 Childrens Play Center for Sale Tampa Bay FL has been sold.We have many Buyers for Day Care Centers, call if you’re thinking about selling! SOLD! Marble Slab Ice Cream Store Tampa Bay in Trinity East, Trinity is Sold! in Trinity East, Trinity The commercial at SOLD! Marble Slab Ice Cream Store Tampa Bay has been sold. SOLD! Restaurant St Petersburg Florida in Downtown St. Petersburg, St. Petersburg is Sold! in Downtown St. Petersburg, St. Petersburg The commercial at SOLD! Restaurant St Petersburg Florida has been sold. SOLD! Bottle Club Florida in Pasco County, New Port Richey is Sold! 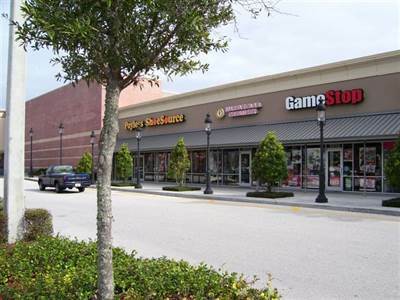 in Pasco County, New Port Richey The commercial at SOLD! Bottle Club Florida has been sold. SOLD! Delivery Business Florida in Tampa, Tampa is Sold! in Tampa, Tampa The commercial at SOLD! Delivery Business Florida has been sold. SOLD! Non Medical Home Health Care Business in Tampa Bay Florida! in Keystone Tarpon Springs, Tarpon Springs The commercial at SOLD! Non Medical Home Health Care Business Florida has been sold. Seller Financing! Priced to sell! 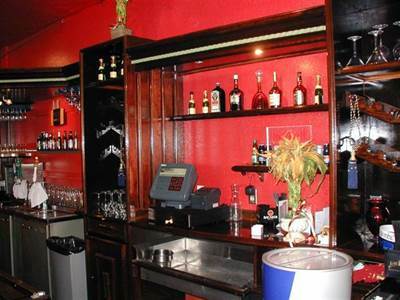 • commercial – FOR SALE USD185,000 . Price Reduced / Seller Financing! 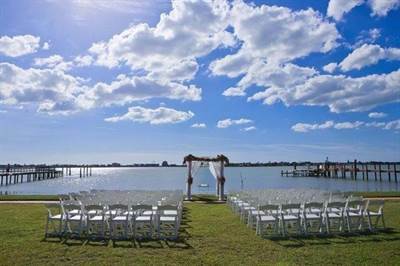 Fun Business, Arrange Weddings on the Sunny Beaches of Florida. Wedding / event coordination business established 10 years. Outstanding reviews & reputation great relationships with vendors / venues. Agreement with major wedding venue will transfer with for two years. 90+ events booked thru 2018, averages 140 events per year. Extensive decor inventory including pipe/drape, newest wireless up lighting, cafe lighting, vases, lanterns (extensive centerpiece decor) included. Business Only, No Real Estate. SOLD! Manufacturing Marine Products Tampa Bay in Pinellas Park FL is Sold! 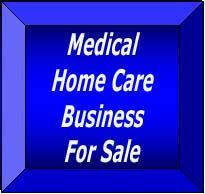 Medical Home Healthcare Business for sale Florida in Sunrise, Sunrise is Sold! in Sunrise, Sunrise The commercial at Medical Home Healthcare Business for sale Florida has been sold. Hair and Nail Salon Palm Harbor in Palm Harbor, Palm Harbor is Sold! 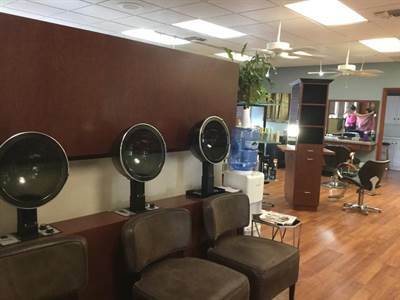 in Palm Harbor, Palm Harbor The single story at Hair and Nail Salon Palm Harbor has been sold. Commercial Cleaning Business for sale Clearwater FL in Clearwater Beach North, Clearwater is Sold! in Clearwater Beach North, Clearwater The commercial at Commercial Cleaning Business for sale Clearwater FL has been sold. 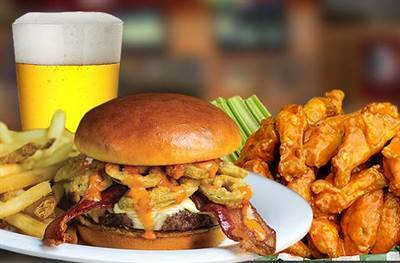 Restaurant For Sale in Tampa Florida Seller Financing! Sacrifice Sale! Recent $300k build out – equipment New Tampa is open, up and running turnkey! 256 seats, 4,000+ sq ft plenty of parking, open concept kitchen, Walk-in Cooler & Freezer, 21 ft Stainless Hood. Designed for volume and flexibility, the must see kitchen is a Chefs dream! Opened in 2016 with no expense spared. 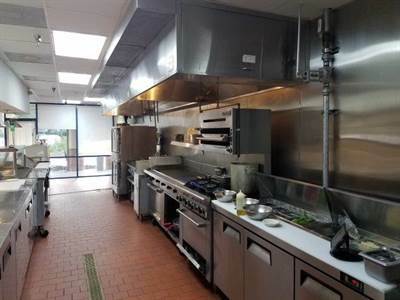 Plumbing, Electric, and other leasehold improvements including 21ft of stainless steel hood / ansel system. Bring your concept, just about anything will work here! No Real Estate, Business Assets only. Great article about simple things you can do now to maximize your equity in your business later! If you are thinking about selling your business in the next few years, lets talk about how we can maximize your value later. Vincenzo LoCricchio 813 690-0109 Certified Business Intermediary, Board Certified Intermediary. New year, new you? Resolutions, set. Vision board, done. If your new year’s goals have you wanting to be your own boss, you may be torn between starting your own business or investing in a startup. But setting up a business from scratch and starting with a new concept or idea can involve significant risks. Instead, you may want to consider purchasing an existing franchise resale; this can provide you the benefit of business ownership without the risk of starting up or opening your own company. Why should I buy a franchise resale? There are many benefits in purchasing an already existing franchise, also known as a franchise resale. Buying an existing franchised business gives you the best of both worlds. Franchising offers some traditional benefits including the training, support, and use of a proven business format. Buying a franchise also offers you the security of operating a business where the success rates are typically higher than those of independent operations. This can be attributed to greater brand awareness and familiarity. Few people like to risk their hard-earned dollars on an unknown company product or service. And an existing franchise business already has established customers, current staff, and a brand presence. When purchasing a franchise resale, you are able to build upon a current cash flow as well as an existing client base, making your future a little easier to predict. Buying any business will typically require some form of financing and/or a banking loan. The benefits of an established revenue stream, existing customer base, brand awareness, and more will make your business plan even more solid and increase the likelihood of it being accepted. Transworld works with franchise businesses and can assist in and guide you through the buying process. Transworld understands the unique challenges franchisees can face. If you are interested in buying a franchise, your local Transworld professional will work with you to manage the entire franchise resale process from beginning to end and beyond. Transworld’s Franchise Resale Program team of more than 350 experienced professionals understand the individual needs of a franchise. Although it can be a stressful time, we understand that careful planning and preparation can make all the difference in securing a successful sale at a fair price. 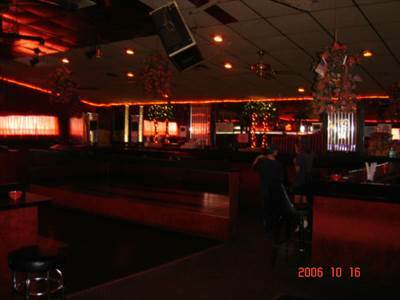 2 Franchised Sports Bars with Liquor 4COP SRX License in a very busy plazas located on a high traffic highways. Well equipment kitchens and separate banquet & game rooms. Completely updated and remodeled. Experienced Staff and Management in place. Great Family business! Expenses include Management Salaries for GM’s Kitchen Managers, and key staff. Buyer to pay Franchise Transfer Fee. Numbers are trailing 12 months assuming working owner. Business Only No Real Estate! Turn Key! for sale below start up cost! FOR SALE $79,000 . $49k down Seller Financing! Asset Sale! Must SEE! $200k+ spent on Build Out and Equipment. Euro Cafe / Dessert Restaurant. Gourmet Coffee, Gelato, Waffles, Crepes, Paninis using finest imported ingredients. Much of the Equipment imported from Europe. Has Walk in Cooler and Walk In Freezer. Sacrifice Sale due to sellers other businesses. Only open 5 days 54 hours wk. Needs full time owner operator to expand hours and promote the business. Business Only, No Real Estate. Internationally known, award-winning manufacturer of branded, high performance, small engine components for the Powersports Industry. Manufactures crandshafts, connectiong rods clutch baskets, cam sprotckets and other small engine compoments. The Company also offers a variety of custom cranksahatt seravices for marine, snow-mobiles, unmanned aircraft and other hight performance, small engine applications. 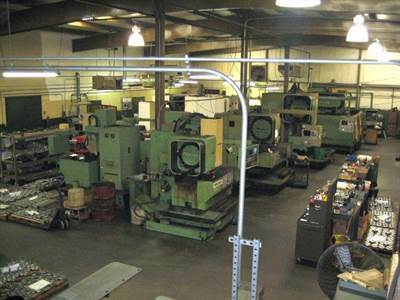 Experience workforce in place, along with an exceptionally well-equipped machine shop. Business only with long term lease, 18000 sq ft Building available for an additional $990k. 30 years established Manufacturer of Nets / Marine Products. Business designs, manufactures Nets, Trampolines for high end Yachts, Resorts, Commercial and Residential uses. Low Materials cost, growing without any marketing or sales. Buyer should be familiar with CAD, Technical Drawing, Yachts. Down Payment reflects Bank Financing for qualified buyer. Business Only No Real Estate! 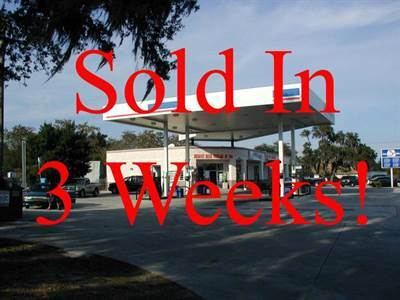 Gas Station Real Estate Tampa Florida in Tampa, Tampa is Sold! in Tampa, Tampa The commercial at Gas Station Real Estate Tampa Florida has been sold. 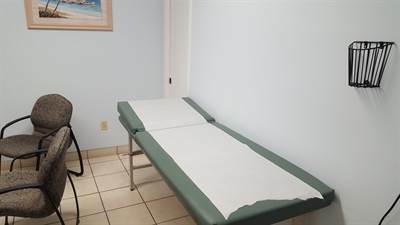 Medical Practice for Sale Tampa Bay FL in Clearwater Beach, Clearwater is Sold! in Clearwater Beach, Clearwater The commercial at Medical Practice for Sale Tampa Bay FL has been sold. 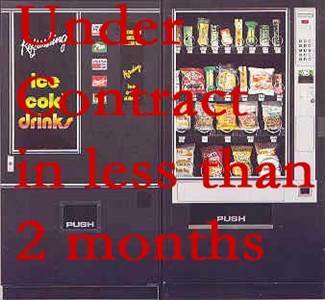 Snack & Soda Vending Route in Brandon, Tampa is Sold! in Brandon, Tampa The commercial at Snack & Soda Vending Route has been sold. Click for Tampa Bay Businesses for Sale! View over 600 Tampa Bay Area Business for sale listings.